You might curse it as a weed when it pops up in your lawn, but the Dandelion is beautiful and full of symbolism nonetheless. This cheerful little flower can grow practically anywhere there is a pinch of soil or a crack in the sidewalk. Even if you think of the plant as nothing more than a pest, understanding some of its using as a symbol could give you a new appreciation for those flowers you keep pulling up as you weed. The Dandelion name first developed in the 15th century. It was derived from the Medieval Latin phrase dens lionis, which refers to the jagged shape of the leaves by calling them a lion’s tooth. This transformed into dent-de-lion in French, and then became Dandelion in Middle English. We still use the same name today because it’s easy to remember and definitely still applies as a description of how the plant looks. All Dandelions are yellow, so they share a common color meaning no matter which particular species you work with. The Dandelion grows across North America and Europe, and was introduced into many other continents as well. The leaves and flowers are both edible and quite healthy, with the flowers tasting less bitter than the leaves. 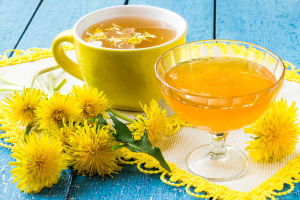 Many rural people still use the flowers for making Dandelion wine in the summer. The root of the plant also contains compounds believed to relieve kidney and bladder problems when drunk as a tea. The Dandelion flower’s message is do not give up, even if those around you keep trying to get rid of you. Stick it out and remember the cheerfulness of a sunny summer’s day when things seem bleak or dark. In kathmandu nepal, where is available this tea? We lost our beloved 15 years old son in last July. How sad we are still experiencing the grieving sorrowful moments. Our back yard has growing the dandelion, and i know the meanings now. We will get through the depression. After 24 hours after my husband died from Glioblastoma Brain Cancer my phone screen that had a picture of him and I together changed on it own to a picture of a dandelion and it’s seeds blowing. Before he died I told him to send me a message he got to the other side. No explanation of how this was done. I have a dandelion tattoo for my Dad in heaven. It also says “one more day with you” with the floating seeds. 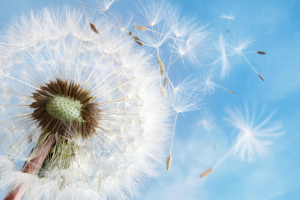 That’s my wish when blowing a dandelion..just one more day… anyway, I am a birth newborn and children’s photographer and im re-branding my business. I am using a dandelion as my logo. However, Im having a really hard time coming up with a tagline. Id like to somehow incorporate the dandelion even by eluding to the meaning but I cant come up with anything… any suggestions? IMHO Dandelions wishes come true based on how high and far the seeds fly. You can blow or wave them free in the wind or throw the last couple with the stem. Thank you for the article. I enjoyed reading! 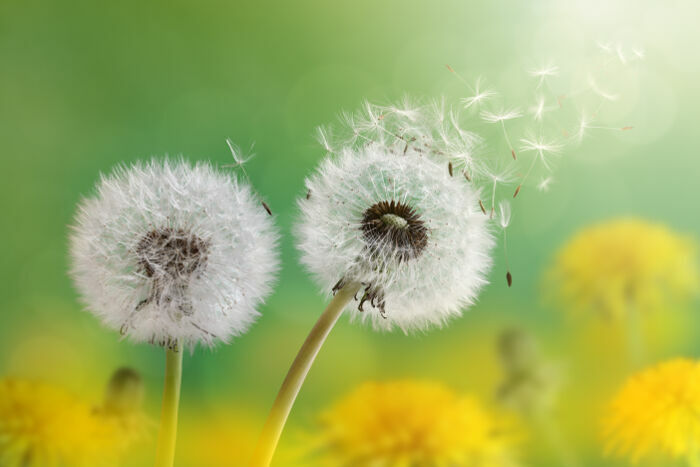 Did you know that dandelions are the symbol of chilren raised in military families? We “brats” embrace the little flower because it symbolizes being able to grow whever life might take you, and then military kids get scattered and blown to all parts of the world when they grow up. Navy, Air Force, and Army brats have a very striong connection to one another born of a shared experience. Thanks for sharing that Debbie, That’s great to know! Such beautiful and touching comments! I have enjoyed reading each one! Those of you who commented on this article: Thank you for brightening my day! Life is not easy. We all struggle and we all experience despair. If we are not currently suffering or grieving, we either have at some point or we will at some point, and that’s just life on Planet Earth. This is why symbols of hope are so precious! I have a question about making wishes on dandelions that I hope someone can answer! To do it properly, is one supposed to blow off ALL of the seeds in ONE breath?? ?